At 24, Norway-born Peder Losnegård continues to live a double life— he has simultaneously managed to maintain his earliest project, producing Jersey Club tunes as Trippy Turtle, and his newer melodic electronic alter ego, Lido. Not many artists are able, or even want to do the same; RL Grime started out as Clockwork, but slowly phased out that persona once RL Grime became successful with the exception of a few shows a year in Vegas. It's impressive and just within the past 4 months alone Losnegård has been on fire— he has released 4 tracks as Lido and 7 as Trippy, all of which push the boundaries of the sound of both of his personas. His newest project as Trippy Turtle is "The Trippy EP." The EP features Lil B, Soulja Boy, and two of his Fofofadi signee's, Disco Duck and Chacha Chimp. The first track, "Animal," is a strong opener with a classic Jersey Club beat and the cute lyrics, "look at all these animals on drugs, look at all this fofo in this club." "Lettuce" ft. Soulja Boy is the most stand out track on the EP, with an unexpected dancehall feel that perfectly compliments Soulja's distorted high-pitched voice. 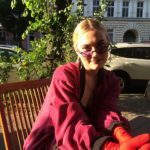 Super Song is the most lyrically dense, and is an even blend of peppy-pop music, reminding me a little of Kero Kero Bonito, and of Jersey Club. Lil B's track on the EP, "Solo," also centers around pitch-distorted and catchy lyrics. His verse brings a much-needed break to the repetitive elements of the track, and although short, it is still #based. In close second to "Lettuce" is the final track on the EP, "I Need a Pimp." 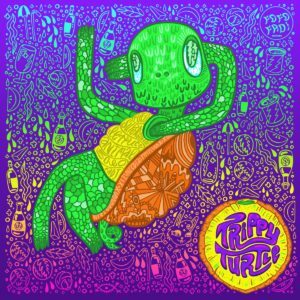 It takes the win for most nonsensical lyrics and heaviest bass— at only 2 minutes in length, it's fun, it's true Trippy Turtle style, and will no doubt be stuck in your head all day.